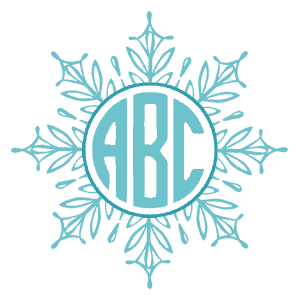 Create your own free custom snowflake monogram in any color. Many designs available. 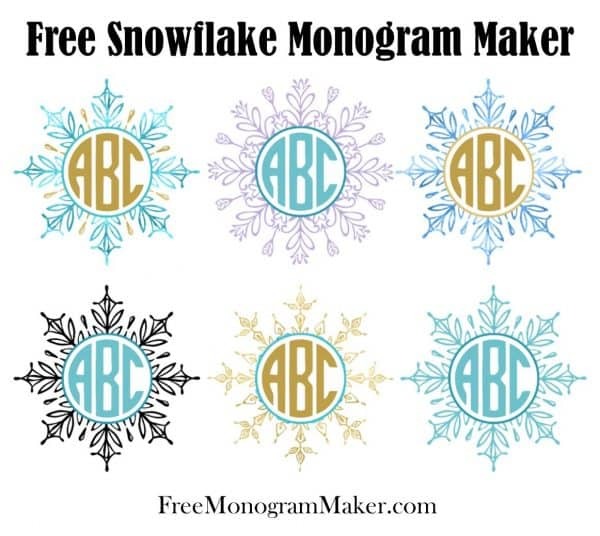 Select a design from the collection of snowflake clipart and click on it to open the monogram maker. There are many different snowflake patterns available in various colors. You can also change the color at a later stage. 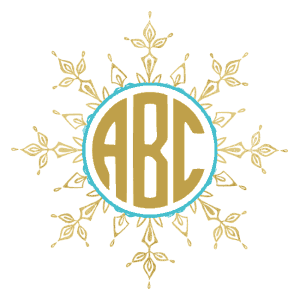 If you want to use the snowflake template for something else without a monogram then feel free to erase the letters. To change the border, select the “snowflake border” gallery under “select designs”. Select each letter and type your own letter. 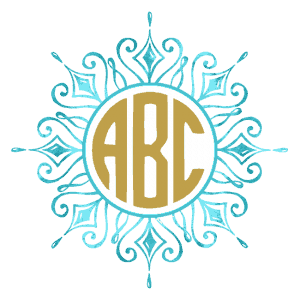 You can change the font if you don’t want a circle monogram font. You can also erase one or more letters if you don’t want a 3 initial monogram. You can change the color of the snowflake image or of each letter. You cannot change the color of the round border but we have several colors available. When you are happy with your design you can download as a png file (with a transparent background) or as a PDF file. 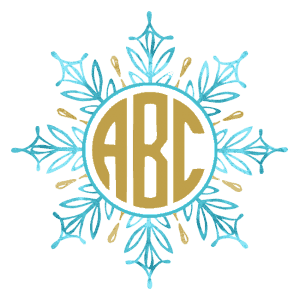 Feel free to create as many snowflake designs as you want. 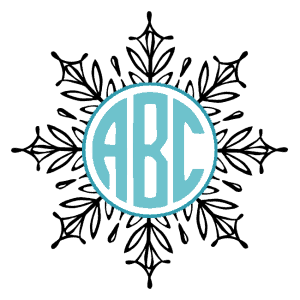 We also have other free monogram designs on this site. You are free to use them for personal or commercial use but if you place them on a website then you must link back to this site.